A U.S. Dept. 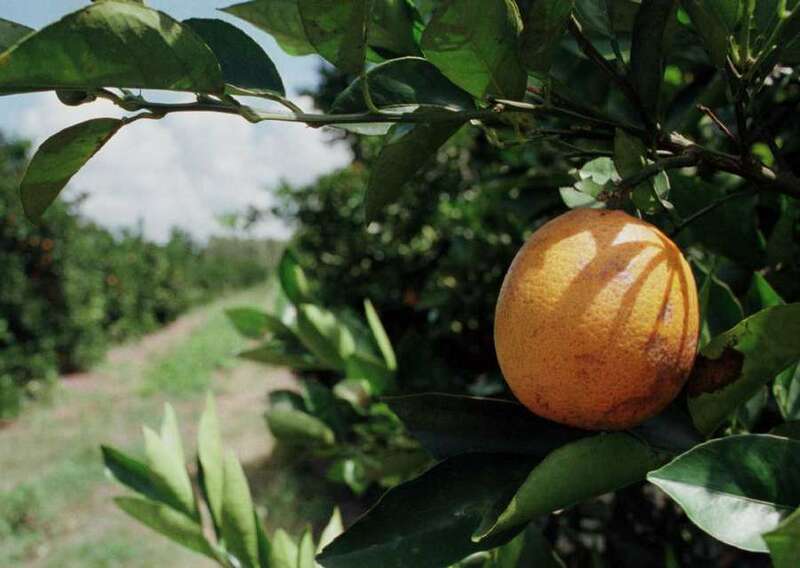 of Agriculture estimate projects Florida will grow 46 million 90-pound boxes of oranges, or 8 percent less than a November estimate that would be the lowest total in decades. Florida agriculture leaders say the latest projected decline in citrus production underscores a dire need for federal disaster relief after Hurricane Irma. The U.S. Department of Agriculture estimated Tuesday that Florida will grow enough oranges to fill a decades-low 46 million 90-pound boxes, 8 percent less than in a November estimate. Meanwhile, grapefruit production held at 4.65 million boxes in the November to December estimates. With the state's agriculture industry taking at least a $2.5 billion hit from Irma in September, the federal projections represent a 15 percent reduction in orange production since an initial estimate was made in October for the current growing season. It also is a 33 percent drop from production during the past growing season. Grapefruit production, while unchanged from November, is down 40 percent from the past season. "While much of the state has recovered and moved on from Hurricane Irma, Florida's citrus growers continue to grapple with the unprecedented damage, which is still unfolding in many groves," Agriculture Commissioner Adam Putnam said in a prepared statement. "Florida's growers need support and they need it as quickly as possible. I will continue to work with Gov. (Rick) Scott and leaders in Washington to get Florida's growers the support and relief they need to rebuild." Shannon Shepp, executive director of the Florida Department of Citrus, said the forecast magnifies the need for Congress to provide disaster funding for Florida citrus — something that has not been in a series of relief package rolled out the past few months. The citrus industry accounted for at least $760 million of Florida's storm-related agriculture damage. "Florida citrus growers are making decisions on next season's crop now, and they need to know they have the support necessary to keep this American icon alive," Shepp said in a statement. Irma uprooted trees and left many groves in standing water for up to three weeks, damage that is expected to impact the industry for years. Mark Hudson, U.S. Department of Agriculture state statistician, said the reduction in the orange forecast is due in part to a higher percentage of fruit dropping unripe from trees. Growers are projected to produce enough Valencia oranges to fill about 27 million boxes, while the non-Valencia variety is expected to fill about 19 million boxes. Navel orange production accounted for 500,000 of the non-Valencia boxes. Florida growers had annually filled more than 100 million boxes of citrus since 1950, with production topping 200 million boxes most years between 1971 and 2005. By contrast, growers produced 68,750 boxes of oranges during the 2016-2017 season. The industry has for most of the past decade been battling citrus greening disease, which is deadly to the fruit, and Hurricane Irma's path across the state decimated many growers for the current season. Rep. Ben Albritton, a Wauchula Republican who is a citrus grower and sits on the House Select Committee on Hurricane Response and Preparedness, has said the storm-damage numbers will increase as fruit continues to drop from trees and as growers may find harvesting costs outweigh the return on sales. He has proposed several tax exemptions for the industry as part of recommendations for the 2018 legislative session, including tax exemptions for material used to repair or replace damaged fences and structures and for fuel used to transport crops during an emergency. He also called for a reduction in the tangible personal property tax for farm equipment affected by the storm. 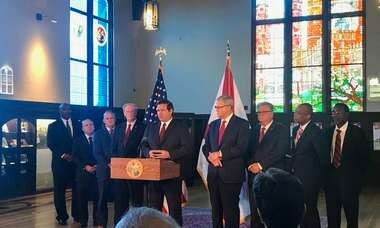 Are the ‘sanctuary city’ bills dead in the FL Legislature?